What role do you think the Rohri flint mines played in the Indus civilization? 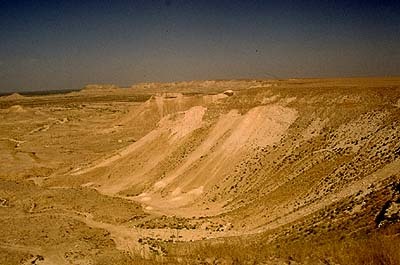 Flint or chert (as it is often called by archaeologists in South Asia) mined in the Rohri Hills of Sindh was transported to Indus settlements across South Asia. We know this from neutron activation analyses comparing chert artifacts with different geologic sources, as well as because raw material from this particular area is, due to its exceptionally high quality and distinctive visual appearance, relatively easy to identify. Objects made from Rohri Hills chert have been reported at sites as far flung as Lothal in Gujarat, Sutkagen-dor in Balochistan, Rakhigarhi in Haryana and even the Harappan outpost of Shortughai in northern Afghanistan. Nearly all of the tens of thousands of chert artifacts recovered from the Indus Period levels at Harappa are composed of raw material from this location. Even at Dholavira in Gujarat, where there is no shortage of local and regional alternatives, Rohri chert makes up approximately half of the site's stone tool assemblage. It's not difficult to understand why Harappans would have utilized Rohri chert so extensively. There was no higher quality, richer or more accessible (in terms of being centrally located in the Indus Valley and along major trade routes) source in northwestern South Asia. The large nodules of homogenous chert mined there permitted standardized long blades to be produced on an industrial scale. For these reasons, and given the restricted geographic setting of the Rohri Hills within the Indus Valley, it is conceivable that the mines there may have been controlled by a specific group or groups that oversaw extraction and monopolized the distribution of this important utilitarian resource. It is elite factions such as these (merchants, landowners, ritual specialists, etc.) that archaeologists like Mark Kenoyer see as competing with one another for political dominance. If one judges by the apparent ubiquity of this particular material type at settlements both large and small across the Greater Indus region, then it is reasonable to conclude that such “chert barons” may have been important and powerful players within Harappan society. Major role. Extremely important as shown by the presence of thousands of extractive pits. I think they were key to the later settlement at Mohenjo-daro and initially drew people to Sindh and surrounding areas. Those mines played a crucial role, because Rohri chert was central in the Indus floodplains, abundant, easy to quarry and had a unmistakable look, that helped tradersand entrepeneurs of the second half and craftsmen to standardize tools and weights, and therefore many socio-technical functions. This is why in the second half of the IIIrd millennium BC this stone substituted many different varieties of flint and chert previously used in the Regionalisation Era.